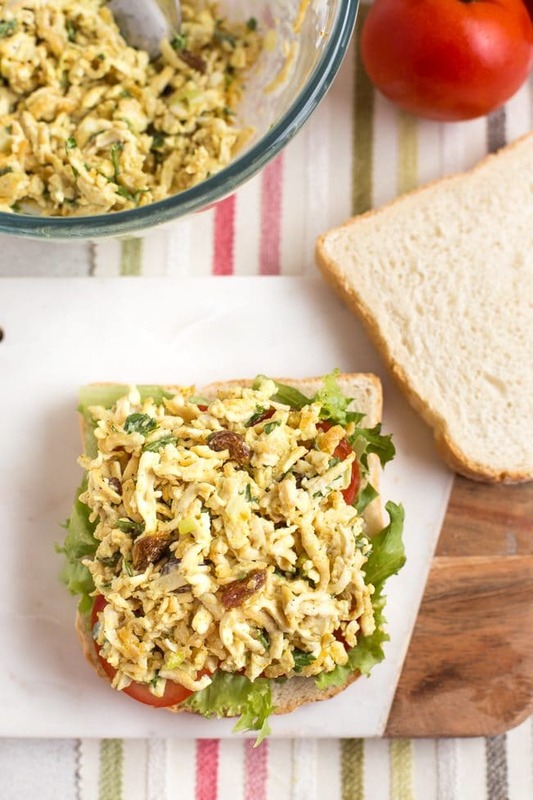 An easy make-ahead lunchbox idea, inspired by the classic British dish coronation chicken. With grated tofu and a creamy curried sauce, this simple dish is full of flavour! 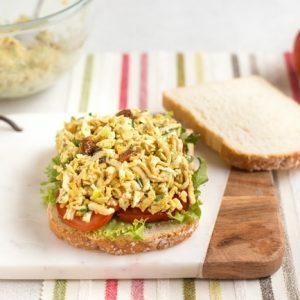 A few years back, I was obsessed with chickpea salad sandwiches – basically a vegetarian version of chicken salad sandwiches. 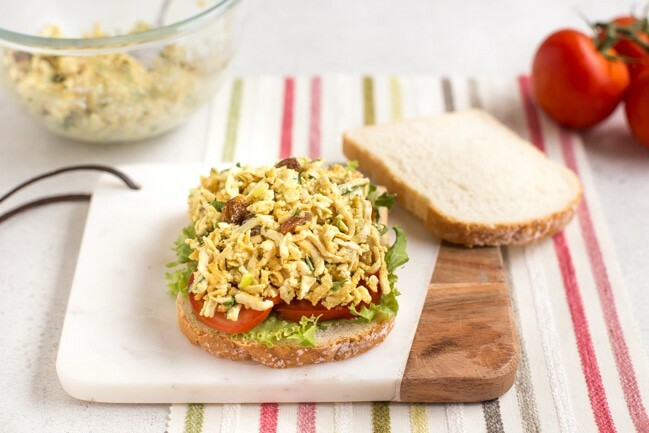 But now I have a new favourite: tofu salad sandwiches! These tofu salad sandwiches (sorry) are made with grated tofu, which gives the salad a really lovely texture that’s not too tofu-ish, if that makes sense. 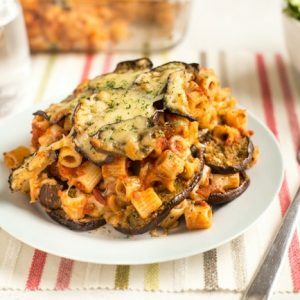 My husband doesn’t actually like tofu, but he really enjoyed these – you don’t have to chew your way through a big lump of the stuff, but instead it just gives a great base for all kinds of flavours. 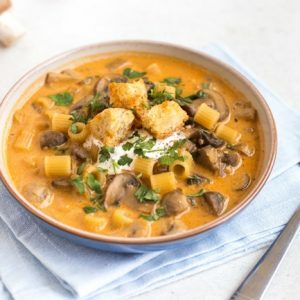 All you need to do is drain the block of tofu, grate it with an ordinary cheese grater, then cook it in a pan for a few minutes to help it to firm up. I didn’t even bother pressing the tofu first – cooking it in the pan is enough to get rid of any excess liquid. You don’t want the tofu to become overly browned or crispy, just slightly drier and firmer. Then you can add whatever additional flavours you like (tofu on its own is super tasteless). I’ll definitely be experimenting with this technique again with different flavour combinations, but this time I went for a classic – coronation tofu! 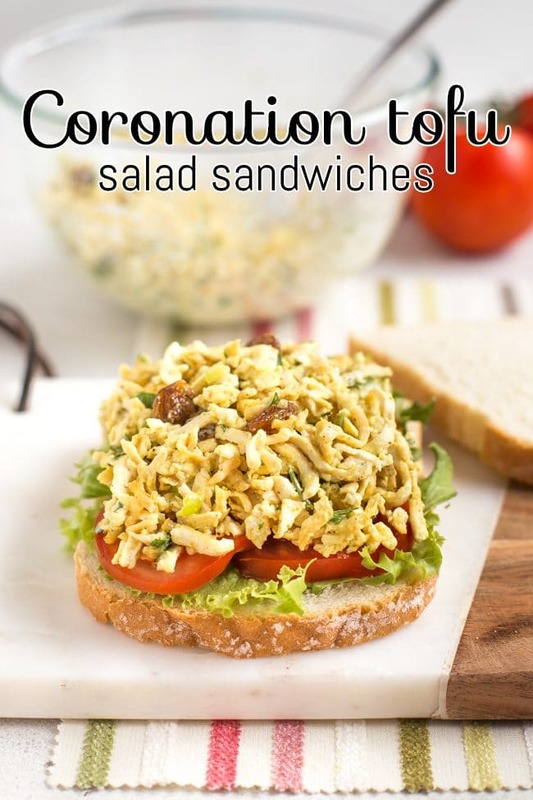 Okay, so coronation tofu isn’t actually a thing, but coronation chicken is! It’s chicken in a creamy curry sauce – a classic British salad that was invented for the Queen’s coronation in 1953 (and if it’s good enough for the Queen, it’s good enough for me). 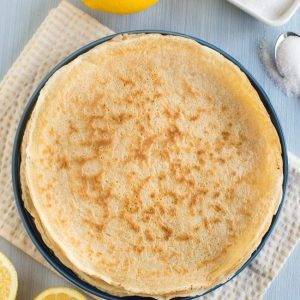 As with a lot of post-war British recipes, it’s really simple, with just a few ingredients, but it still has a huge amount of flavour. Unsurprisingly, coronation tofu is the same, but with tofu instead of chicken! Along with the grated tofu, there’s also spring onions, fresh coriander (cilantro), a few raisins, a dollop of mayo, and some curry powder. I know it sounds like an odd combination. But it really works. This coronation tofu would be a great dish to make for packed lunches (is it really nearly September?!). The recipe below only makes two sandwiches, but I wish I’d made twice as much, as it was so good! So feel free to double or triple the recipe to make a bigger batch. 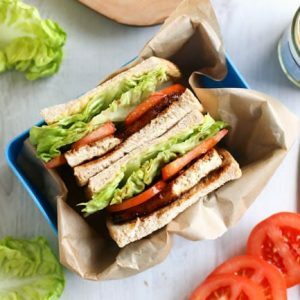 It will happily keep for a few days in the fridge, so you can use it for lunches throughout the week – just assemble your sandwich in the morning and pop it in your lunchbox (or even serve the coronation tofu on its own in a little tub, if you’re not a big bread person!). 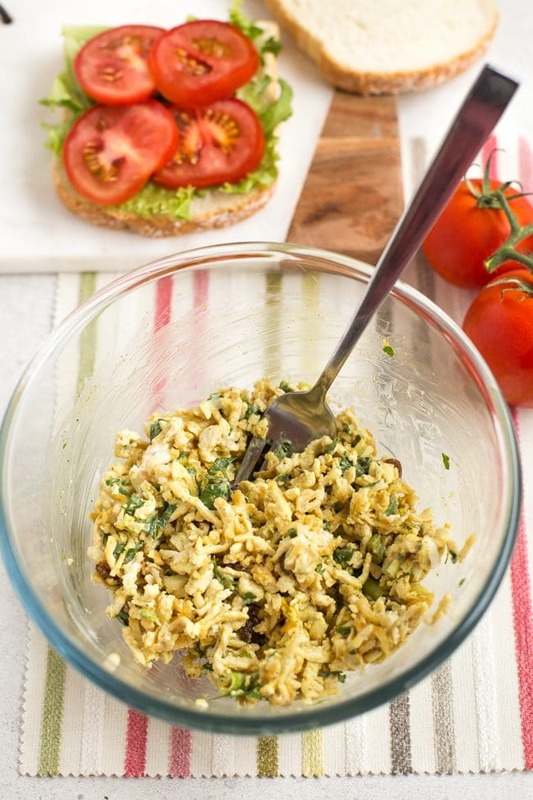 I still have half a block of tofu in the fridge, so I’ll be making at least one more batch of tofu salad sandwiches – maybe with pesto, or something a bit spicy? Grate the block of tofu using the large holes on a standard cheese grater. 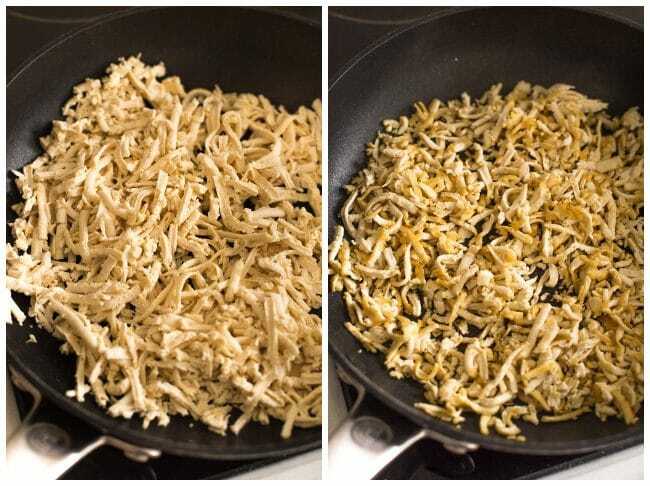 Heat a dash of oil in a frying pan, and add the grated tofu. Cook over a medium heat for around 5 minutes, stirring regularly. You don't want the tofu to become overly browned or crispy, just to firm up and turn a light golden colour. When cooked, set aside to cool. Add the cooled tofu to a bowl, along with the remaining coronation tofu ingredients. Mix well to combine. The tofu salad will keep well in the fridge for 3 days. 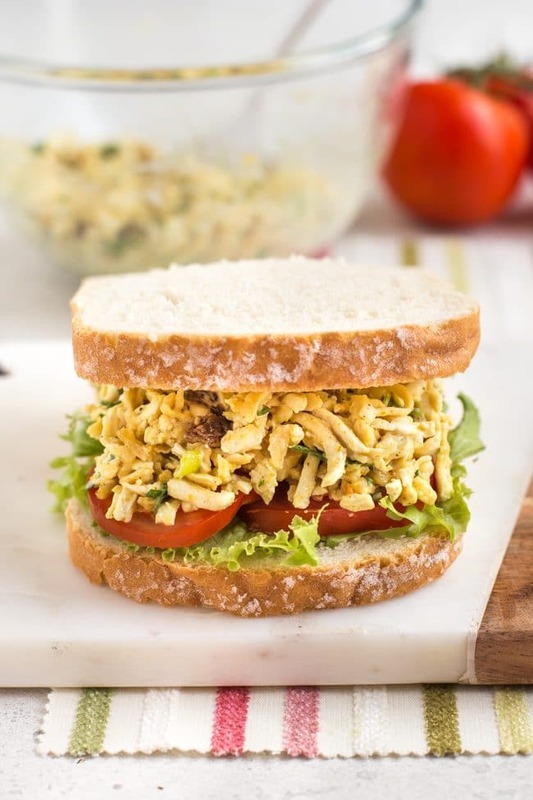 When ready, assemble the sandwiches with salad leaves and slices of tomato, topped with the coronation tofu. Feel free to double or triple the recipe if you'd like to make a big batch to see you through the week! Note: Nutritional information is approximate, and will depend on exactly what ingredients you choose. Information above is for 1 sandwich (1/2 the recipe). Always been a bit wary of cooking with tofu? 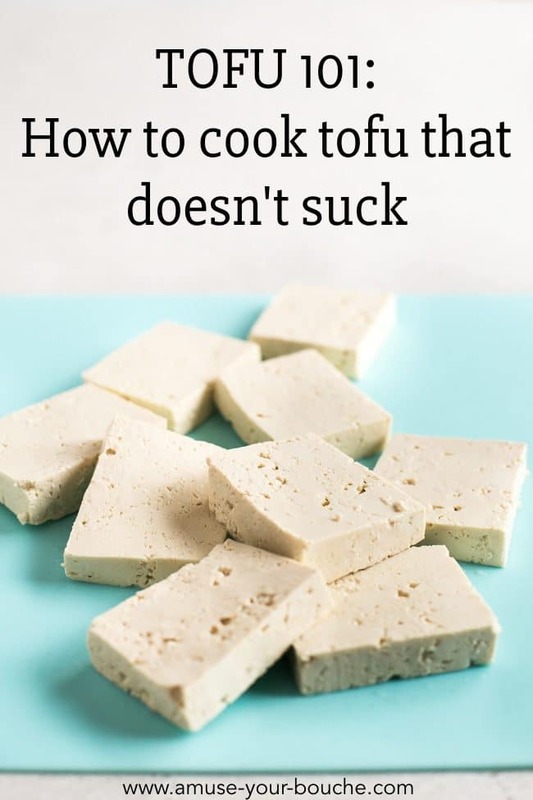 Here’s my foolproof method for how to cook amazing tofu every time! That is brilliant! Don’t know why I’ve never thought to grate it. 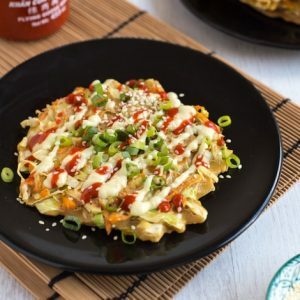 I’ve been looking for a tofu salad recipe like Whole Foods for ages, but haven’t found one exactly. This sounds like a great second. I have some super firm tofu in my fridge now – I think it’s asking for this. Haha! It’s definitely worth a try isn’t it! I love this idea and am always looking for new sandwich fillers so will definitely give this a whirl! 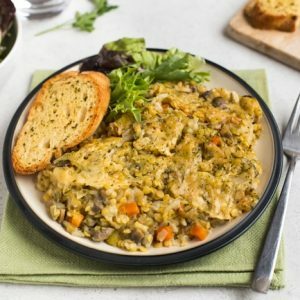 It definitely makes the texture more enjoyable – I love tofu but even I find a huge chunk can be a bit weird. Love this idea! 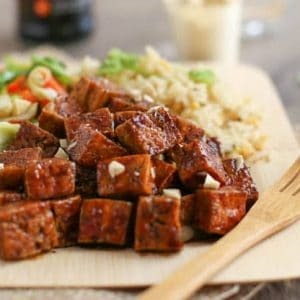 I’m a big tofu fan and this looks like a great way to use it!